You are browsing the archive for Day Law. One of the most useful books to have on your bookshelf is The Fascinating Story of Black Kentuckians: Their Heritage and Traditions, by Alice Allison Dunnigan (The Association for the Study of Afro-American Life and History, 1982). 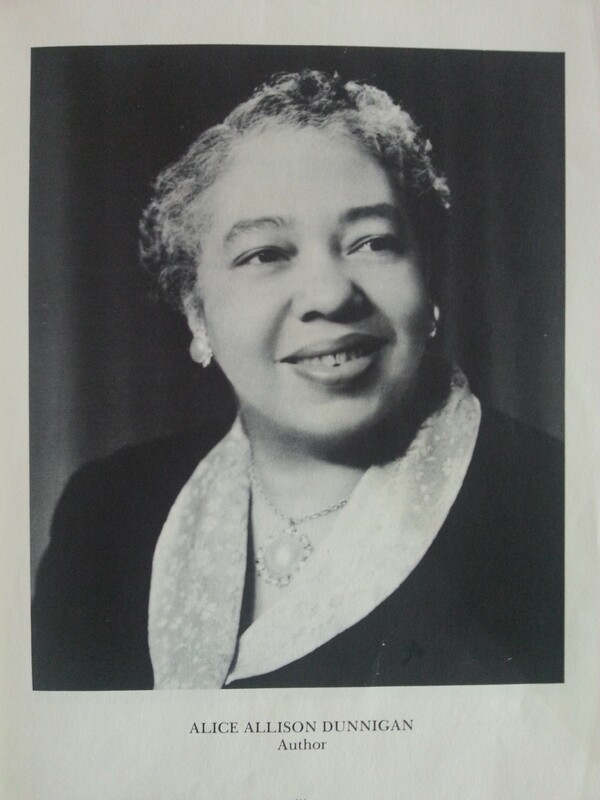 Here is her short biography of Kentucky activist Elizabeth R. Fouse (p. 374) under the section “Women in Politics.” We present this subsection in full for your consideration. It is curious to us to think that this greatjournalist – who broke so many barriers in her own profession – would give such an important woman’s biography a mere mention of a political appointment, and leave out so much more political work Fouse had taken on through the years. Is this an oversight on her part? The paucity of this entry is puzzling. What does Dunnigan know that she’s not telling us? Why does Dunnigan choose to add the last three sentences highlighting three men’s names when the topic is women and the focus was to be on Fouse? 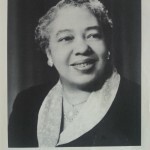 Dunnigan left out so much of Fouse’s leadership and other political actions, e.g., her work with the NAACP, her leadership in founding a YWCA for black youth in Lexington (named after the poet Phyllis Wheatley) her founding of a segregated branch of Lexington’s WCTU (named after the abolitionist Sojourner Truth). Was this because she, like so many others, believed that descriptions of political actions could only entail electoral or commission work? See more on Fouse in a Wikipedia article started by a History student at the University of Kentucky. The civic activism of this brave and intelligent Kentucky woman deserves a full-length biography to place her squarely in the middle of our state and national political history — a history that she helped to create. In 1941, a teenager named Charles Eubanks volunteered to play a part in an attempt to integrate the University of Kentucky. He applied to the UK College of Engineering and was turned down because he was African American and the Kentucky Day Law did not allow African Americans and whites to attend the same school. The suit led to the creation of a “separate but equal” program at Kentucky State University. Though it did not lead to a huge change within the University of Kentucky, it is a notable instance of a step in the right direction. A man named Lyman T. Johnson is considered one of Kentucky’s greatest fighters for integration. In 1948, he filed a federal lawsuit challenging the Day Law. The next year UK admitted the first black students to its graduate and professional schools. In 1954 the University of Kentucky finally opened admission to undergraduate studies to black students; University of Louisville followed in 1955. While interviewing Mrs. Gaylord and Rev. & Mrs. Jones for our service learning project (“Lexington Women, African-American Churches and Civil Rights Activism” – see more at: www.kywcrh.org/voices/churches), I began to think about the University of Kentucky in the 1950s and ‘60s and what it would have been like to attend UK as one of the few African American students. Coming here as a freshman was scary enough for me; not knowing where to go or what to do. Coming here with fear and the isolation that both Mrs. Gaylord and Mrs. Jones expressed to me would be traumatizing. They both lived on campus and discussed the difficulties of eating at surrounding restaurants. Mrs. Jones was not allowed to eat at Jerry’s, a restaurant directly across from her dorm. While living on campus they would have lacked the community and support which one needs to be successful while getting an education. Luckily, Mrs. Jones was able to rely on Pleasant Green Baptist Church where she was an active member. She experienced many difficulties within her biology major at the university. I was shocked to hear that her genetics teacher told her that she was “genetically inferior”. As a proud UK student, it saddens me to learn these things about a school which plays such a vital role in my life. Oral History Interview – Jones, Kay and La Mont. Interview by Dawn Bailey. Digital recording. November 29, 2010. Louie B. Nunn Center for Oral History, University of Kentucky, Lexington, KY.
Hardin, John A. Fifty Years of Segregation: Black Higher Education in Kentucky, 1904-1954. Lexington, KY: University of Kentucky, 1997. Print.